Hubway bicycles in Boston docking station await riders. Bike-share programs are popping up across the nation. Many cities are beginning to implement bike sharing as part of their overall transportation plans. 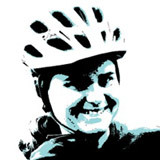 The idea is to replace short-distance car, bus, or subway travel with bicycling. Bikes are made available at stations throughout the city, riders pick up a bike at one station and drop off at another. Users typically have the option of purchasing a day pass or an annual membership. When biking is integrated into a city’s transportation plan, there can be substantial improvements in quality of life for residents. David Watson, executive director of the Massachusetts Bicycle Coalition, says, “Bike share is an integral part of our public transportation system, with people using it on its own or in concert with transit trips.” Pedaling can be a wonderful way to cut down on pollution, road repair costs, traffic, and parking problems. A city of cyclists sounds quite utopian, but bike-share systems often fall short of the egalitarian notion of bikes for all. Many systems are heavily utilized by young, affluent males but miss an opportunity to serve other populations. Low-income residents are much less likely to use bike-share programs. One potential barrier is the credit card requirement. Many lower-income residents do not have access to credit cards while most bike-share systems require a credit card as insurance against loss of equipment. Says Greenberger, “Theft is prevented by capturing riders’ credit card information and holding a $1,200 fee attached to bikes that go missing. That is the true cost of the bike and prevents riders from taking the bikes.” This makes financial sense, but it fails to address the transportation needs of the entire population. While other cities have struggled with providing cycling for all, Boston has led the way in ensuring access for all residents regardless of financial background. The program includes 13 stations in low-income neighborhoods and provides 1,000 subsidized memberships each year. A nonsubsidized yearly membership runs $85, out of reach for many residents. Eligible, low-income riders can purchase an annual membership for just $5. Recently, the city has taken it a step further. 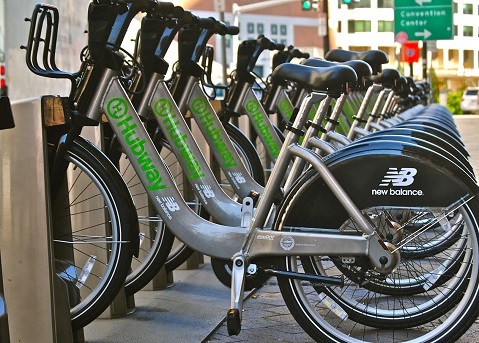 Doctors in Boston can now write low-income patients $5 annual cycling memberships. A prescription, along with a free helmet and a doctor’s encouragement, eliminates barriers and provides extra incentive to start pedaling. Programs throughout the country operate with various forms of funding. Citibank procured naming rights to New York’s bike-share system by contributing $41 million. Blue bicycles bearing the name Citibike can now be found in stations throughout the city. Other cities have also utilized company sponsorships. This may be great advertising, but there is considerable debate over the financial profitability of bike-share programs. Regardless of whether bike sharing proves to be financially profitable, it certainly appears to be a winning investment for residents seeking a more active, healthier community. Santa Barbara’s mild weather and relatively dense downtown provide a favorable backdrop for shared cycling. State Street would be an excellent place to start.